It has been shown that the longer a person stays in treatment, the better the outcome for abstinence as well as overall improvements. Three months is now referred to as the “gold standard” of treatment. For patients coming from the Castle Craig primary treatment programme, our Consultant Psychiatrist makes a recommendation for Extended Treatment to the patient based on their progress in their personal treatment plan. Our admissions team will work with you over the phone to gather the information necessary to complete the admission. Our Consultant Psychiatrist may wish to speak with any treating professionals or with the patient. For more information please visit our Information for Referrers page. Our Extended Treatment programme is open to anyone who has been through a 4-6 week, 12 Step based rehab treatment programme. Why Extended Treatment at Castle Craig? 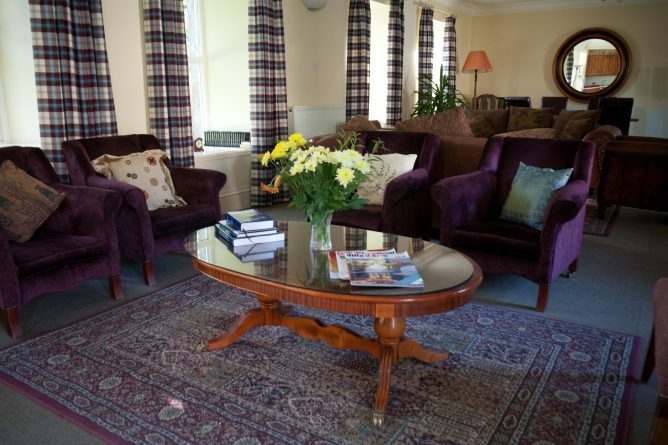 We frequently provide free transport for Extended Care patients to leave Castle Craig for AA/NA groups and excursions.